A new exhibition in Birmingham explores life, dying and death. Patients and families supported by Birmingham's John Taylor Hospice have created a series of films telling their own stories which will be shown at an exhibition in Erdington. The Life: Moving project saw six patients and family members at the hospice filming their thoughts and experiences over a six month period. And the finished films will be featured in an exhibition at St Barnabas Church, High Street, Erdington B23 6SY on April 28-29 between 10am and 6pm. Each film-maker was given practical training and filmmaking devices that best met their needs. They discussed their developing films at workshops that ran from October of last year. Life: Moving is part of a research project called Digital Technology and Human Vulnerability: Towards an Ethical Praxis. Based at Birmingham University, the project aims to challenge society's misconceptions about terminal illness by giving those experiencing it the opportunity to tell their own stories and bring them to a wider audience. 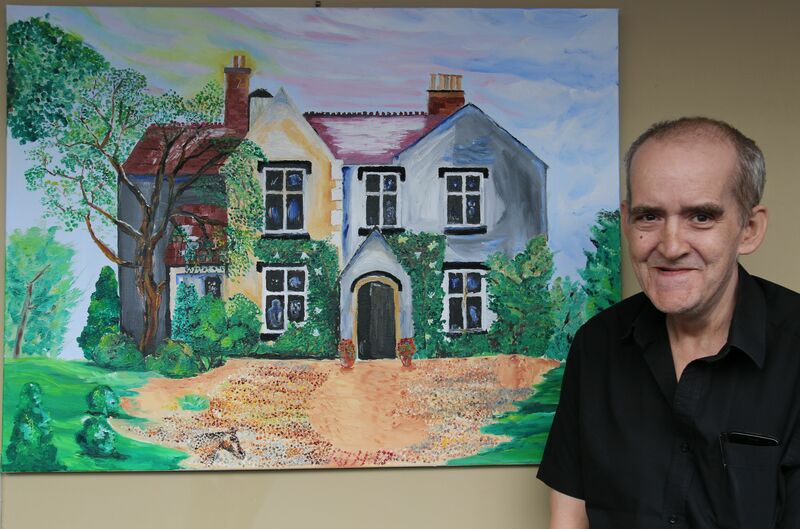 Robert Homer, who attends John Taylor's day hospice, is one of the participants and in his ten-minute film he shares some of the challenges he faces in daily life. An accomplished artist, 56-year-old Robert of Handsworth intersperses his thoughts with images of him drawing. He said: "I started with several ideas and gradually it became clearer what I wanted to concentrate on. I'm pleased with the final film. People don't know what it's like when you've been told you're going to die so I hope this film will help them understand a bit more." Family members were also invited to take part. Haifa Ahmed, whose husband, Yussef, was supported by John Taylor Hospice, completed the project along with her daughter Reem. Haifa said: "Yussef is a soul mate, friend and husband who will be missed forever," said Haifa. "Yussef Ahmed is poet, father, friend, brother and son to all his people in Birmingham, Trinidad and Palestine and he died after fighting a great fight with a cruel illness (bone marrow cancer and AL amyloidosis). The main reason for us at the time to take part in the project was Reem. Her dad, Yussef, always described her as amazing, smart, sweet, unique and last but not least a kind-hearted child. Reem has been a big part of Yussef's strength to fight his illness all these years and she is the main follower of her dad's amazing legacy and the memory she had with him will never end." And she added: "The camera has always been an essential part of our lives. The camera and filming is a normal thing for Reem since she was a toddler and, as a professional model at one time, Reem was keen to take a big part in this film." Research team leader Dr Michele Aaron of the University of Birmingham said: "The project sought to better understand the potential of digital film to serve the best interests of the vulnerable lives it so often depicts and disseminates. In an age when smartphone footage can deliver us to the frontlines of conflict or human suffering, this kind of research becomes increasingly pressing. John Taylor Hospice was selected as our community partner for various reasons - its track record of involvement in exciting arts projects and arts research, its emphasis on community outreach which was very compatible with that of the project and the team's familiarity with the interesting work that members of the hospice staff team were involved in." The project was coordinated at the hospice by Art Psychotherapist Jed Jerwood who said it offered patients a new way to explore their experiences and feelings. Jed said: "Participating in research studies like Life: Moving gives our patients different ways of telling their stories, their history and expressing different views and experiences of living with a terminal illness. People can find words very limiting and, by working in film and visual image, they often find ways to express the depth of feeling and experience which reflects their individual situations." Funded by the Arts and Humanities Research Council, the project brought together a range of experts in film, digital technologies, arts practice and art therapy. The team included University of Birmingham Co-Investigator Professor Russell Beale, film-maker Briony Campbell, John Taylor Hospice art psychotherapist Jed Jerwood, University of Warwick Co-Investigator Dr Cath Lambert, Birmingham City University Co-Investigator Dr Lisa Metherel and University of Birmingham Research Fellow Adrian Banting. The exhibition will also be included in the week-long Matter of Life and Death Festival which takes place at Midlands Arts Centre between 6-14 May. Organised by the community collective BrumYODO as part of Dying Matters Awareness Week, the festival features exhibitions, theatre, talks and debates, art activities and a market place of stalls. Michele added: "The research project's findings have been presented in academic conference papers in the UK and abroad and will inform academic publications in the future. Funding is also being sought for a further tour of the exhibition."